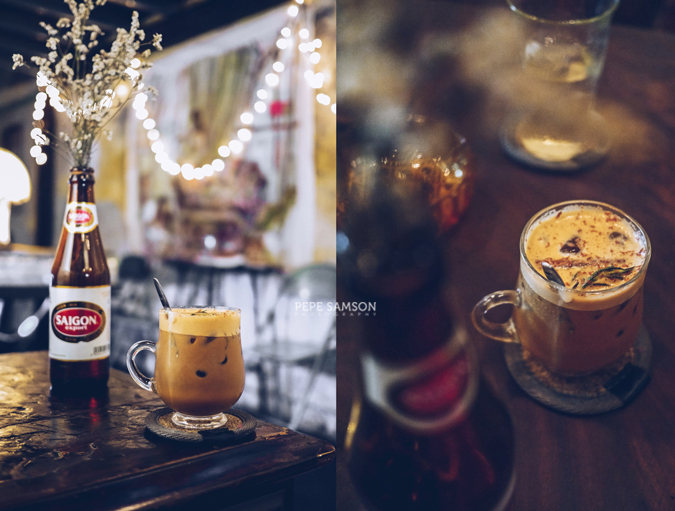 While searching for a famous pho stall in Nguyễn Trung Trực in Ho Chi Minh, we made an altogether new discovery that involves another Vietnam food trip staple: coffee. After struggling to weave through motorcycles that dominate the city and to navigate around streets whose names sounded all the same, we found a stall that looked exactly like the one from the website which ranked Saigon's best bowls of pho. Unfortunately, the resemblance stops with the stainless steel—what we found being sold were desserts (or at least, I thought they were, LOL), not steaming noodle soup. 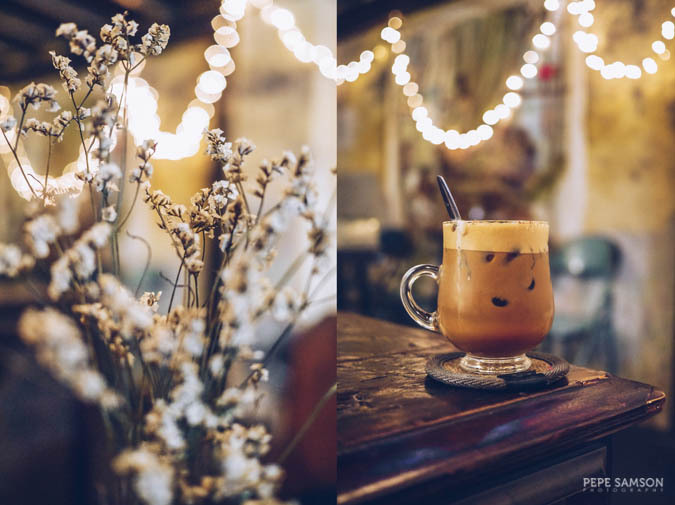 We were ready to give up and walk back to the hostel when my friend Via walked into the discreet shop right behind the stall, and there we found one of the most beautiful coffee shops I've seen recently: Hoàng Thị café. 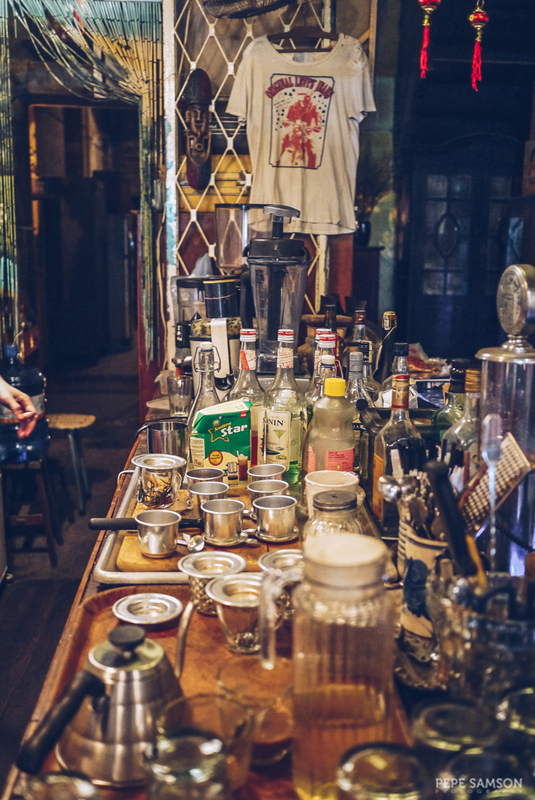 Owned and managed by a painter and illustrator named Hoàng Nam Viet, Hoàng Thị exudes an artsy, hipster vibe that stands out amidst Saigon’s mostly scruffy shops. 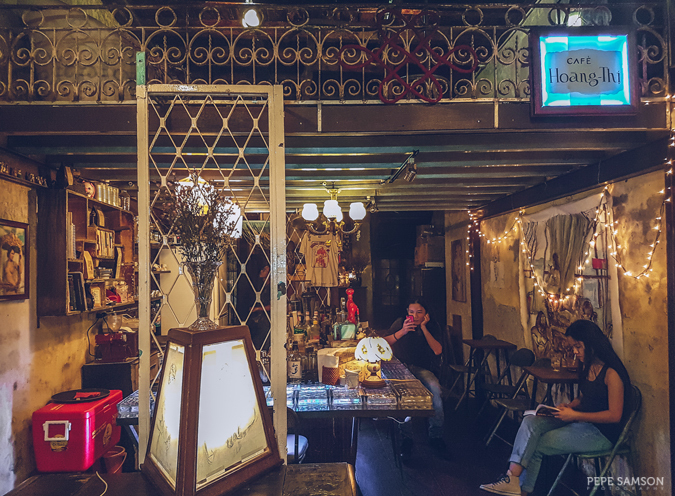 With its distressed industrial-style walls, stylish lighting, and curious pieces, it’s easy to see that the café belongs to someone who has good grasp of the arts. 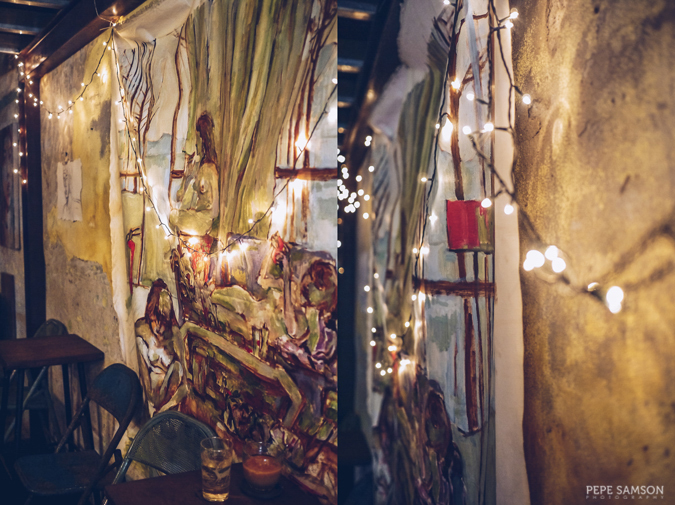 Paintings and pencil sketches of the owner himself adorn the tiny, beautiful space. 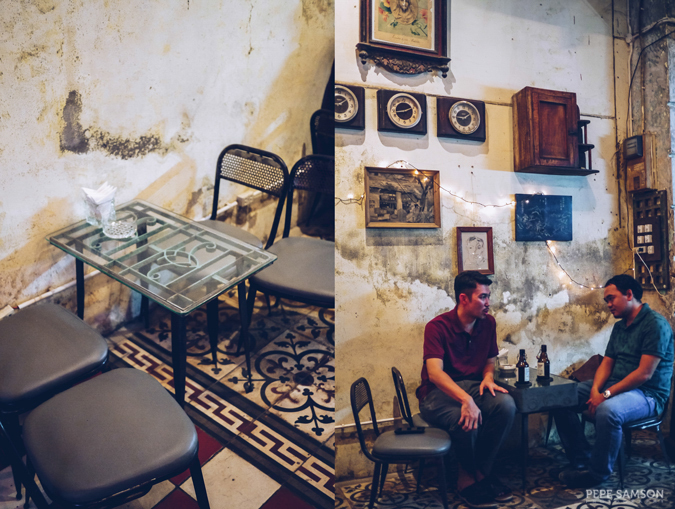 Salvaged pieces like grilles, tables, and chairs fill the place, and to complete the almost-Bohemian atmosphere, relaxing jazz music flows out of the speaker. But while the shop is indeed charming and pretty, it is not one of those which are only nice to Instagram. Hoàng Thị serves great Vietnamese coffee—the kind that makes you want to linger and order more than one cup. 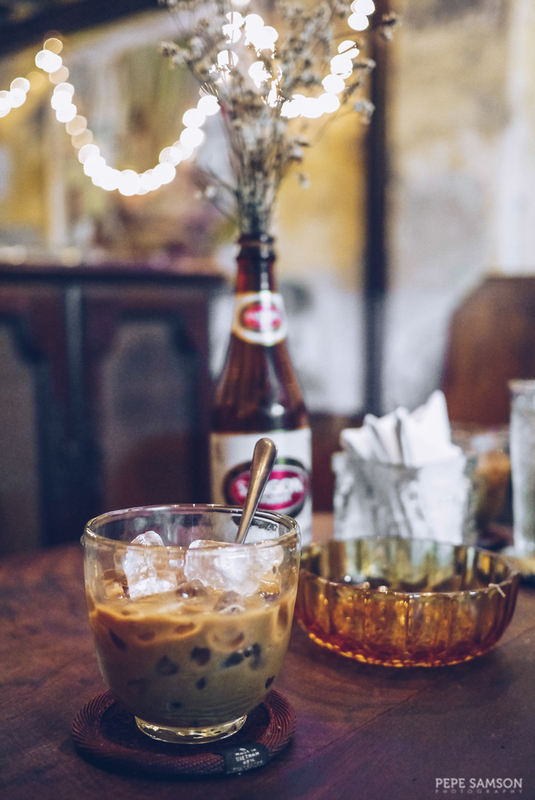 The classic Vietnamese dark roast drip coffee or the iced coffee with sweetened condensed milk (35,000 VND ≈ 1.5 USD ≈ PhP75) should satisfy your craving for a strong, exquisite brew. 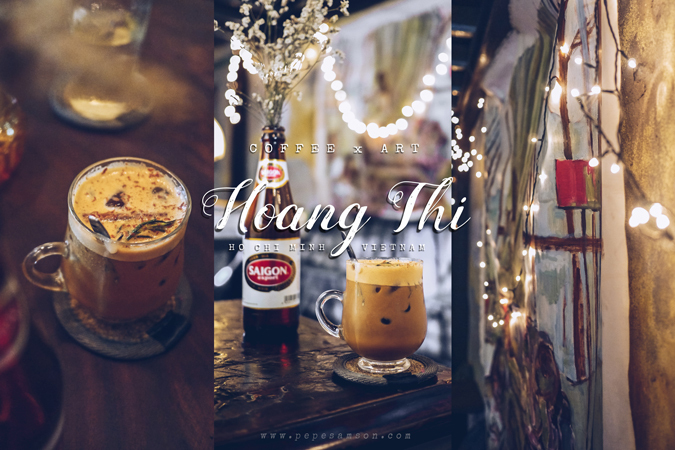 However, if you find yourself craving for something more than the usual ca phe sua da, get the Hoàng Thị Special (50,000 VND ≈ 2.25 USD ≈ PhP112) like I did and be prepared to be mind blown with a fantastic combination of iced Vietnamese coffee, sweetened milk, cinnamon, burnt rosemary, and what seemed like nutmeg. The elements were harmonious and not overpowering, the sweetness level just right. The flavors and aromas were intoxicating—in an amazing way! 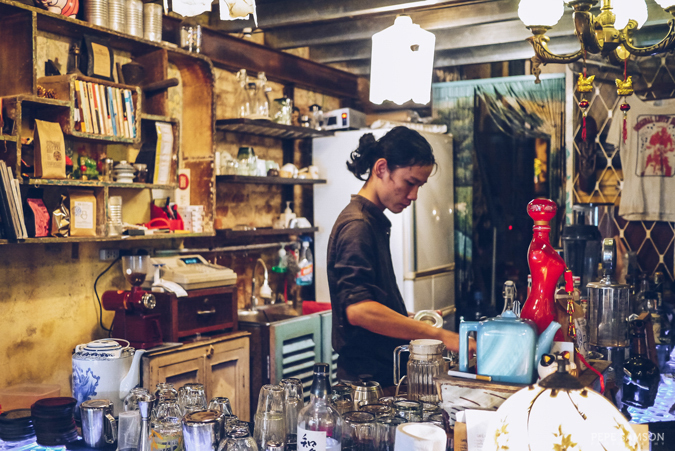 The café also serves coffee from Brazil, Italy, and Kenya, as well as a selection of beers, so you might want to bring friends and hang out for some time. 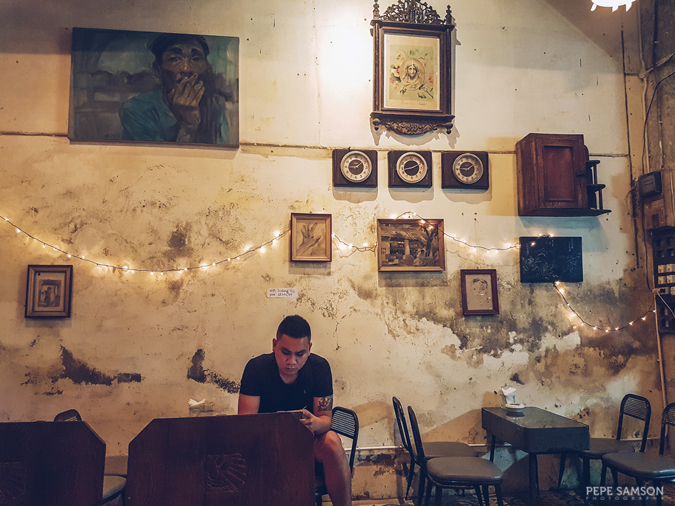 Its cozy ambience, quaint interiors, and delicious coffee concoctions definitely make it a must-visit when in Ho Chi Minh—whether you’re a local, a traveler staying for a few days, or an expat who has decided to move into this vibrant city. Do you love Vietnamese coffee? Which other places in Ho Chi Minh have you tried and can recommend?